Tell us more about you and your site to be considered for sponsored opportunities from Mediavine. 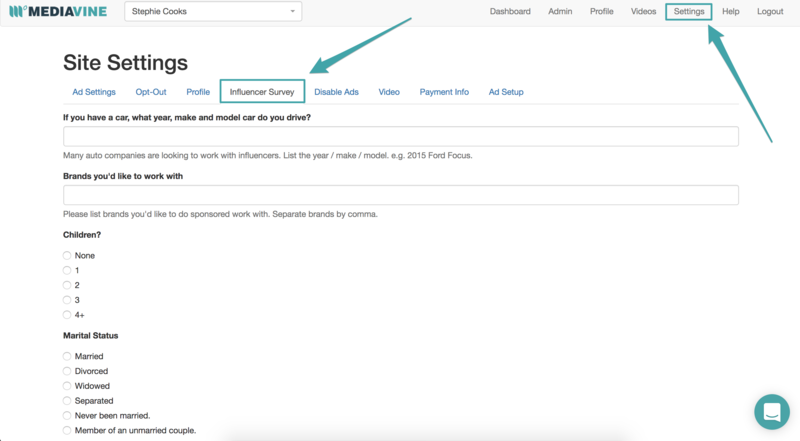 Filling out the Mediavine Influencer Survey in your dashboard helps us find relevant publishers for influencer programs. 1. In your Mediavine dashboard, in the upper right hand corner, click on “Settings”. 2. Click on the “Profile” tab. Complete any missing information. 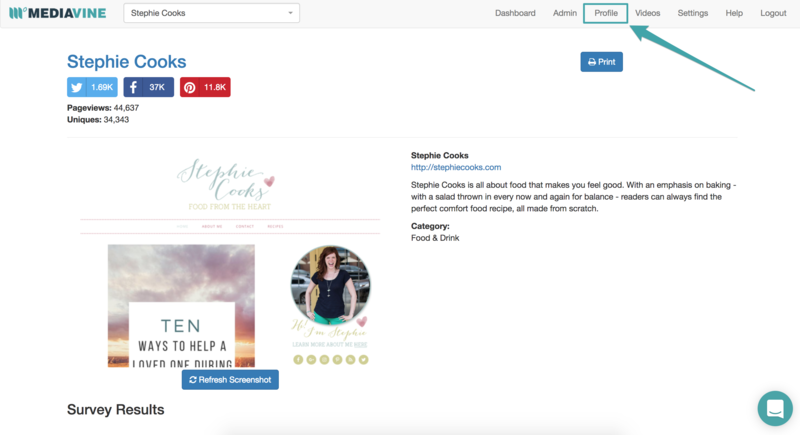 Adding your logo will allow your Mediavine Direct sales page to be branded to your site and colors. Fill any of the rate fields for which you would like to be considered. You do not have to add rates for all 5 options. After you have updated your rates, as well as any other information in the Profile section, scroll to the bottom of the screen and click “Update Settings." 1. Go to Settings, then click the tab for "Influencer Survey." 2. Answer as many questions as you are able. 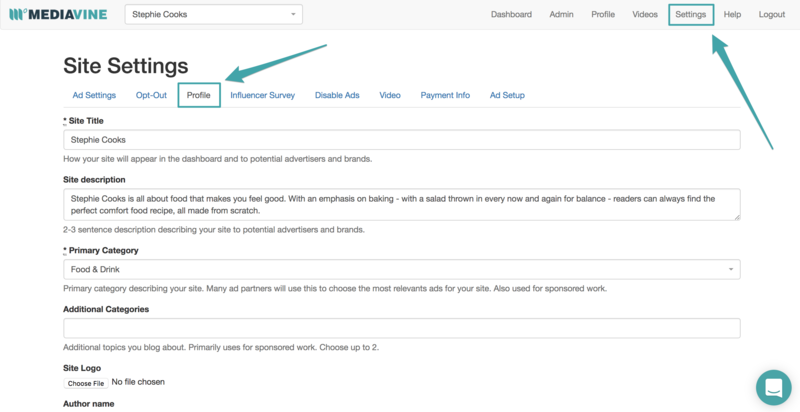 If you would like to update or add demographic information such as marital status, number of children, capabilities you can offer brands and more, those can be found in the “Influencer Survey” section of your dashboard's Settings. The more information you can provide, the better we can match you to sponsored opportunities. Navigate to 'Profile' at the top of your dashboard. Here you will find all of your profile information. 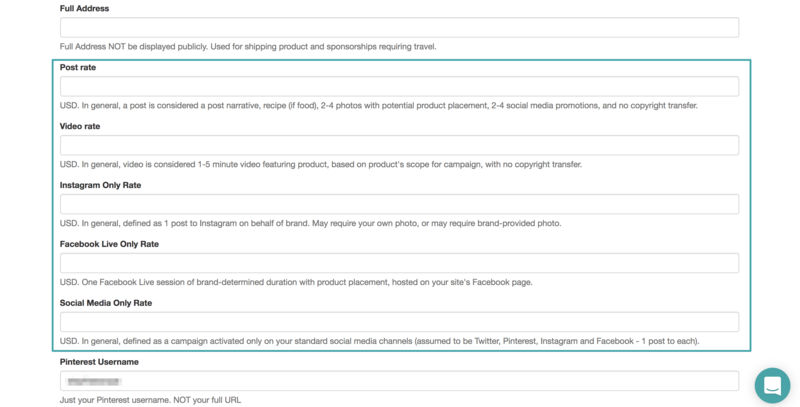 We share this page with brands on your behalf when sponsored opportunities arise. If your social media numbers are out-of-date, please email our Publisher Support team at publishers@mediavine.com and we can help you update them.